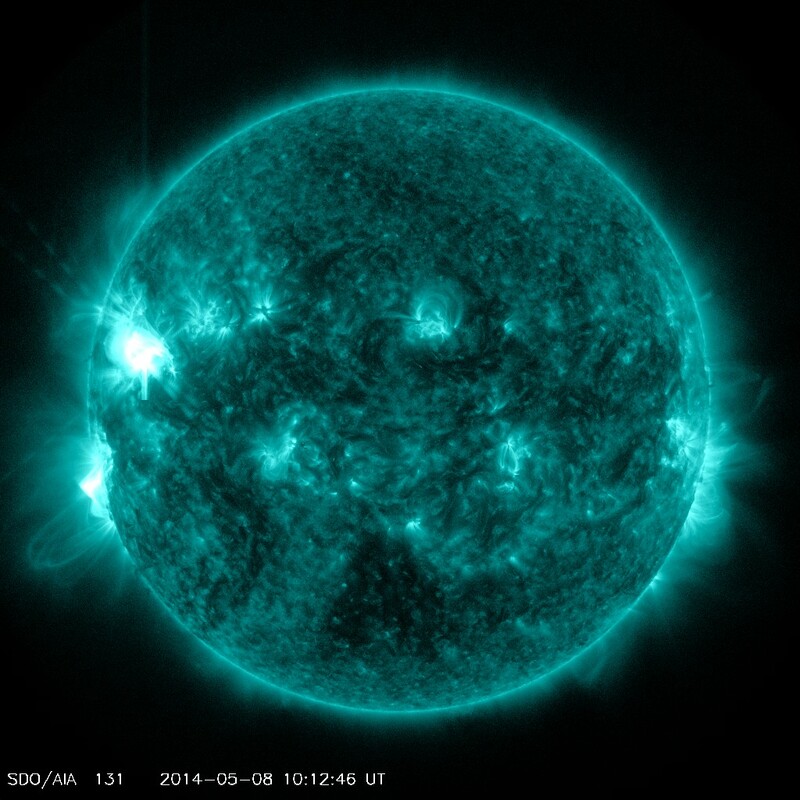 A moderately strong solar flare measuring M5.2 was observed around sunspot 2056 peaking at 10:07 UTC. The event generated a 10cm radio burst measuring 390 sfu and lasting 8 minutes. 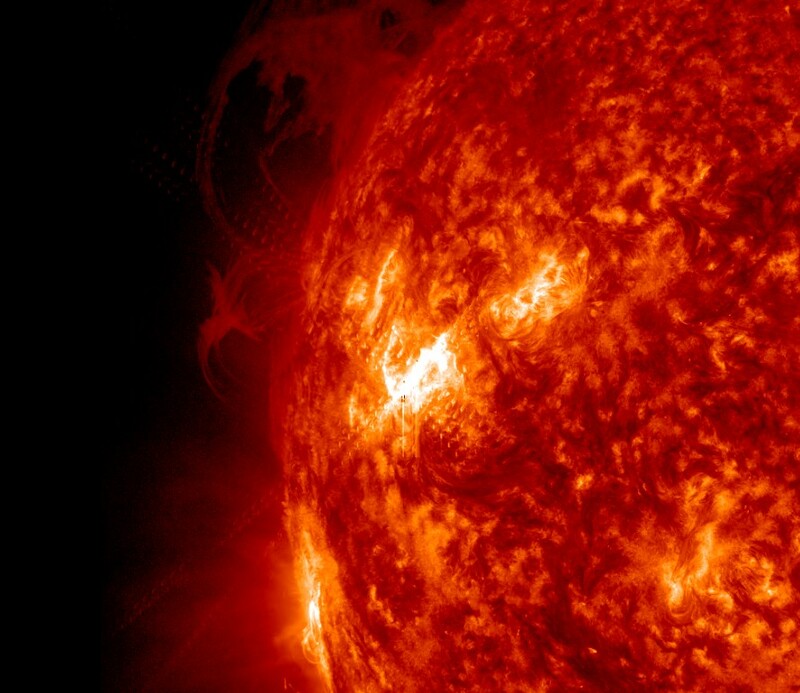 The active region is not yet in the best position for Earth directed coronal mass ejections. 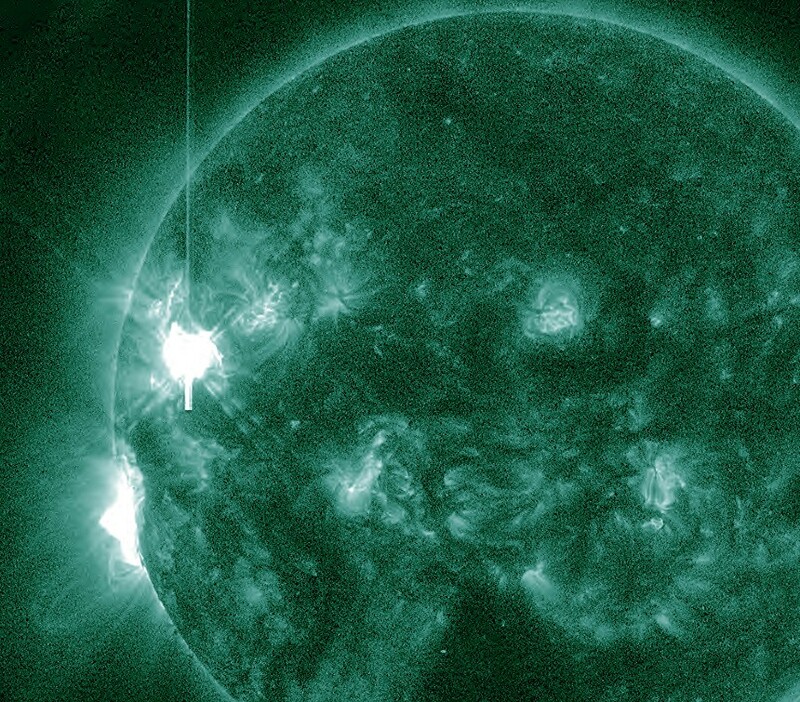 At this time, a large CME does not appear to be associated with the flare. Additional coronagraph imagery confirms that a CME was not associated with the event. No impact to our geomagnetic field is expected. Additional video of the flare event is now available. As of this update, new imagery by STEREO Behind COR2 does not show a CME as of yet. 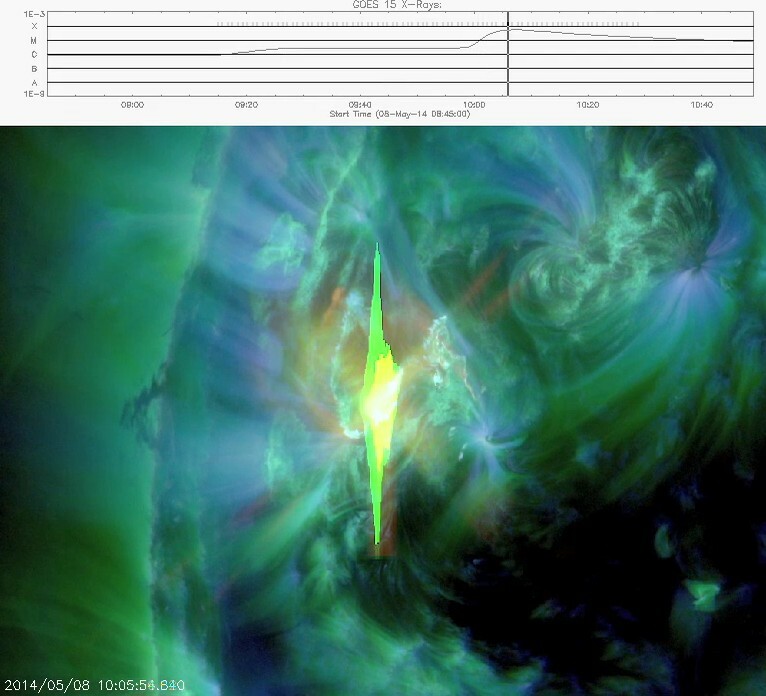 The flare itself was fairly impulsive, so a large CME is not likely. Further updates to follow when necessary. SDO/AIA video of the event is now available. It is located on the bottom right of page. 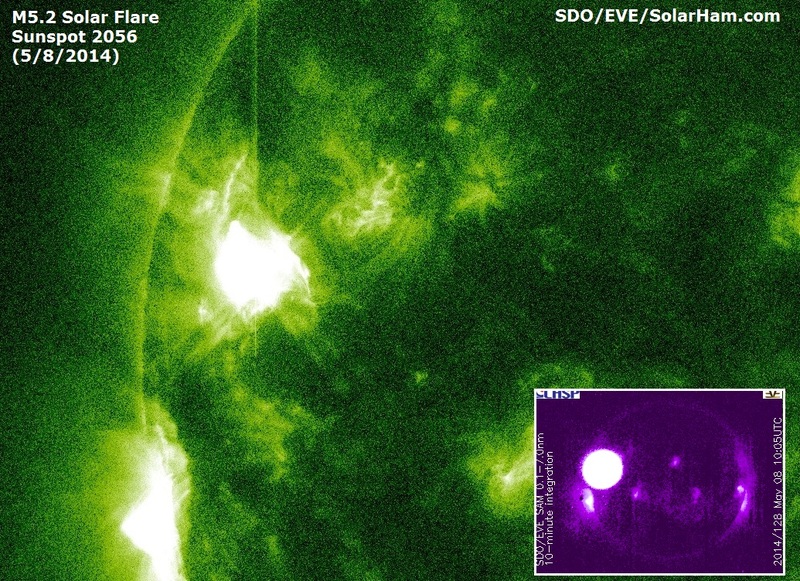 The solar flare event was associated with a 10cm Radio Burst (TenFlare) measuring 390 solar flux units (SFU) and lasting 8 minutes. 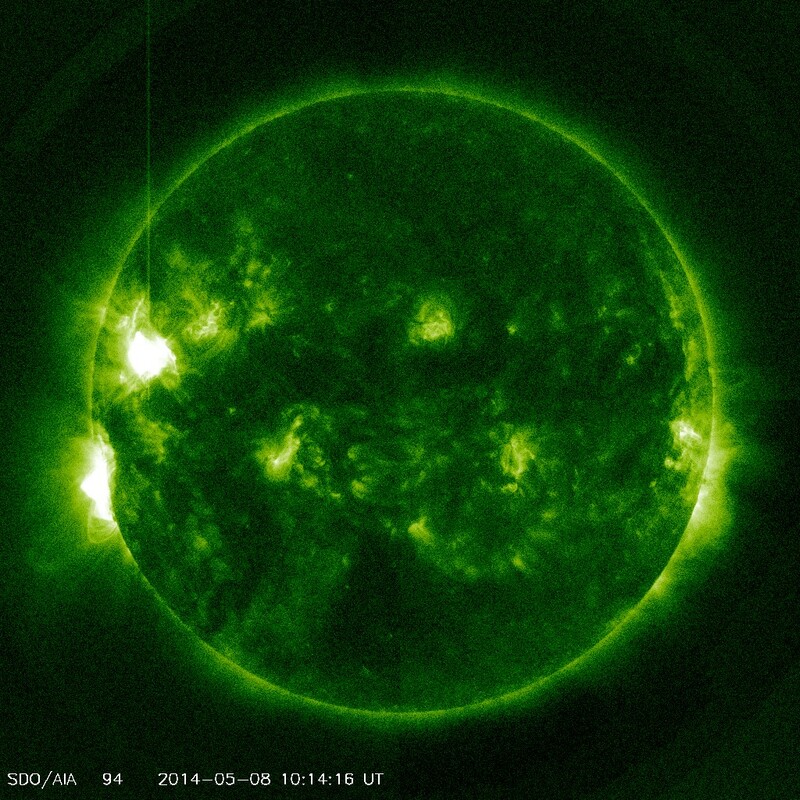 A moderately strong solar flare measuring M5.2 was just observed around sunspot 2056 peaking at 10:07 UTC. More details to follow.